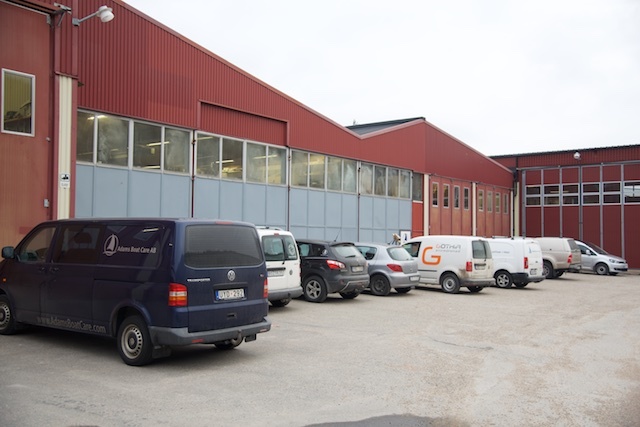 Adams Boat Care AB is placed in the heart of Swedishboat building, namely on Orust in the old premises of Regina af Vindön. 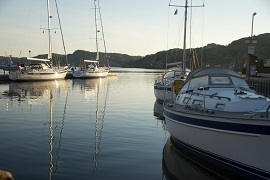 At this yard, the renown fine Regina af Vindön yachts have been built for decades. 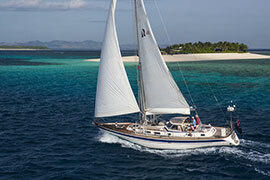 During the recent crises, however, Regina af Vindön have been taken over by CR Yachts in Henån. Adams Boat Care has year round access to a marina, a ramp for lifting boats as well as ample boat storage space and a sophisticated workshop. 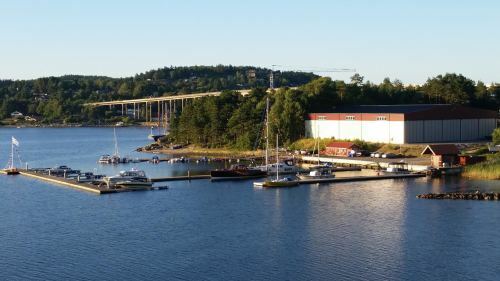 How much Adams Boat Care has grown in the last years since they started with Regina Laska as their first project back in 2012, can be witnessed by the number of cars parked outside the yard on a normal working day. More than a dozen specialists are now working for Adams Boat Care and the company is growing steadily. Inside there is always full activity! 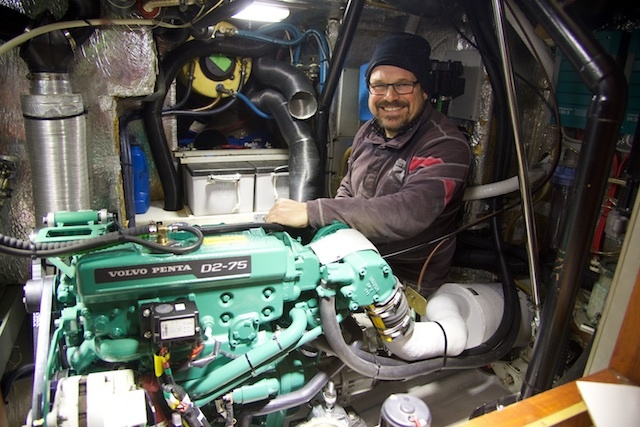 In the winter of 2016-17 I counted no less than six HR46's undergoing a refit plus more than a dozen of other boats in all sizes from 29 feet to 55 feet. A sample of some boats that have been refitted at Adams Boat Care can be found below, but many more are taken care of each year. It is not seldom to see as many as six HR46's are being refitted side by side, undergoing extensive refits. 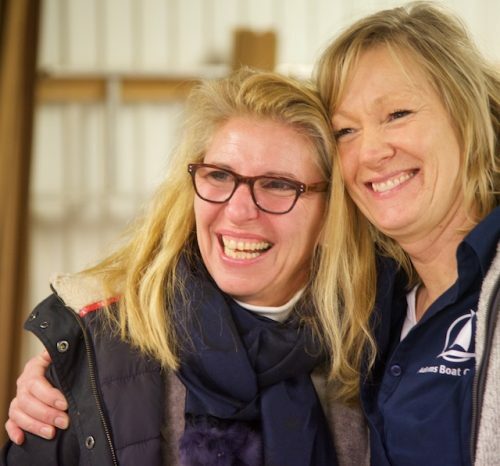 Customers from Poland, Germany, UK, Japan, USA, Sweden, the Mediterranean and even New Zealand have sailed their boats to Adams Boat Care AB, trusting the enthusiastic and highly experienced team when it comes to refitting their fine yachts. Customers love working with Adams Boat Care! Please also see some impressions and photos from the Adams Boat Care cray fish party here. It's simply the people that make the difference! 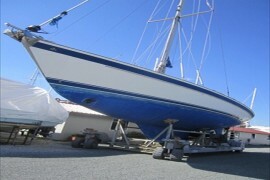 A client visiting his Malö 36 being refitted at Adams Boat Care. 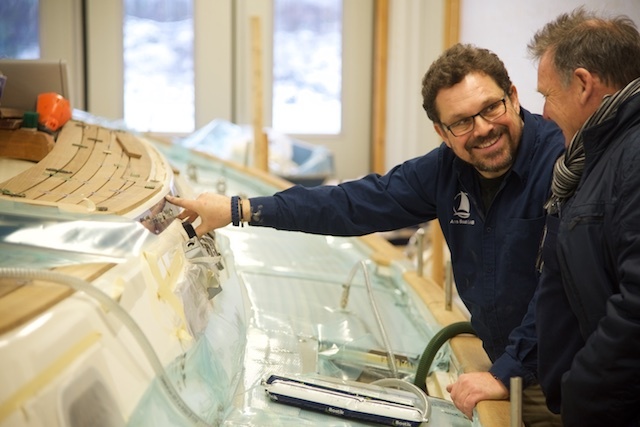 Kjetil (right) explains the rift, consisting of a new teak deck, a new blue stripe on the hull and other things. Next, an LED light package shall be installed. 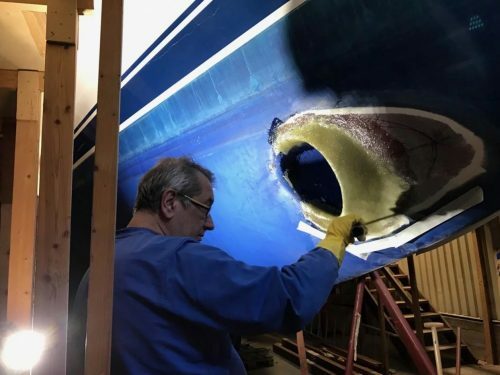 When you bring you boat to Adams Boat Care you meet the actual people behind the work: the carpenters, the electrical and electronic specialists, the rigger or the men who put their sweat, tears and pride into polishing your boat, turning the hulls into mirrors. 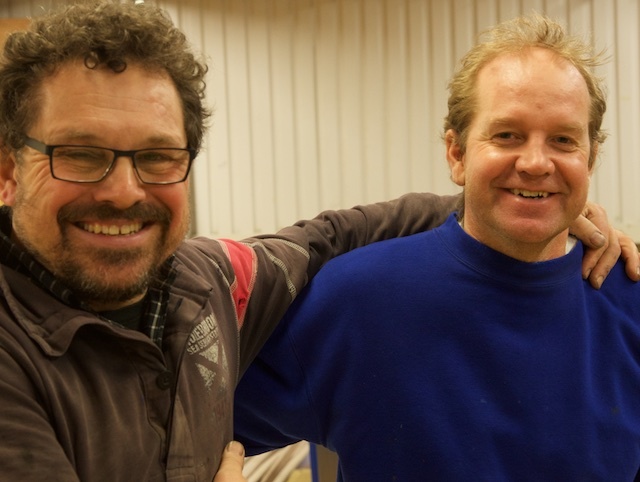 They all see the new refit centre as chance for personal growth: Their own ideas can develop and blossom in close co-operation with other, equally enthusiastic boat builders as well as the boat owners. Issues and ideas are being discussed jointly and everyone gets involved. When you come to Adams Boat Care you do not only notice how professional they work, but can really feel the positive atmosphere and personal interrelationship! 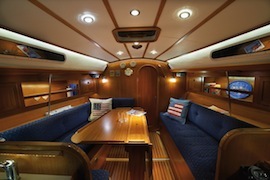 Typical issues are older teak decks, varnish touch-ups, new skylights and windows, upgrading through-hulls, replacing the standing rigging, upgrading the interior lighting, new upholstery or any other technical improvement such as installing electric winches, an electric inmast furling or genoa furling, new navigation equipment or a new electrical system. 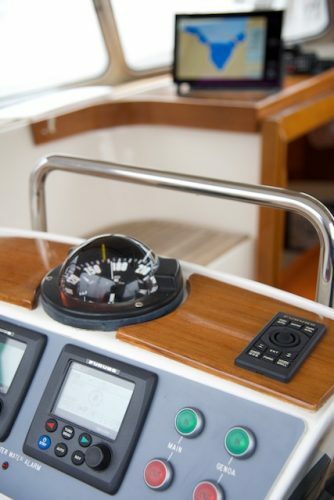 Some of the desires are important safety issues, others significantly improve the atmosphere and comfort onboard. All have their own right to be looked at. 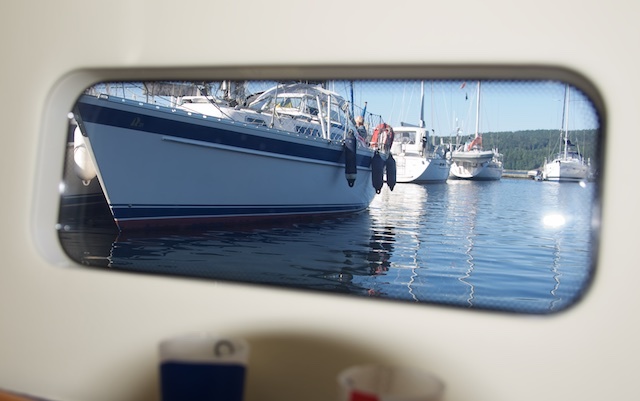 Upgrading your Hallberg-Rassy is an investment, keeping your boat’s value at top levels while enjoying many more years of sailing in safety, comfort and style. 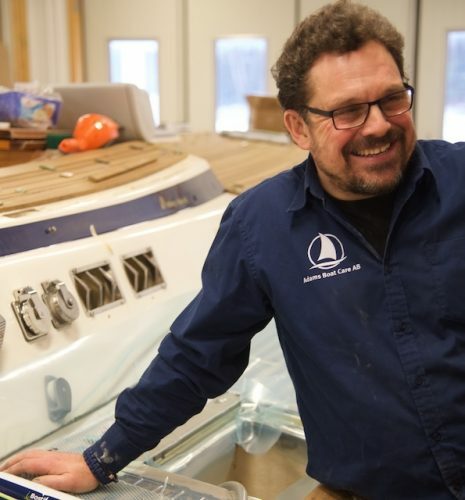 Not just large Hallberg-Rassy boats are being refitted at Adams Boat Care. 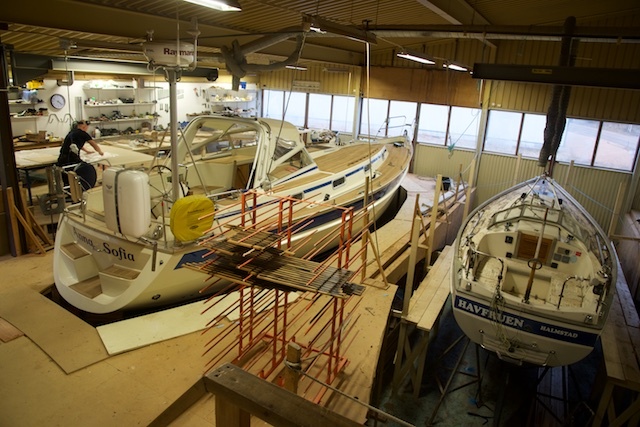 Here is a Malö 36 (left) and a HR29 being totally refitted. Another HR29 from southern Europe is waiting outside to join the club of refitted HR's. 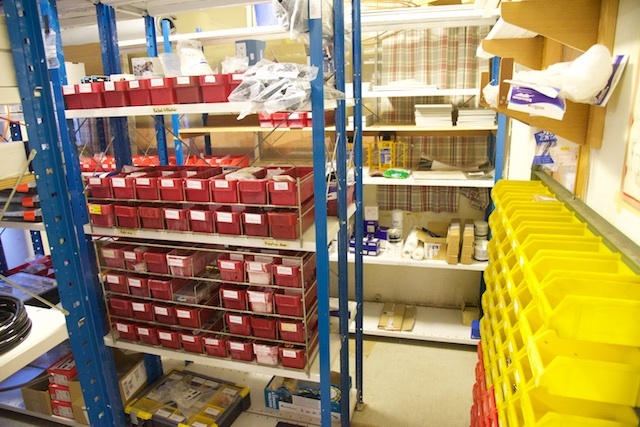 All stock and every detail on the work-order is computerised. 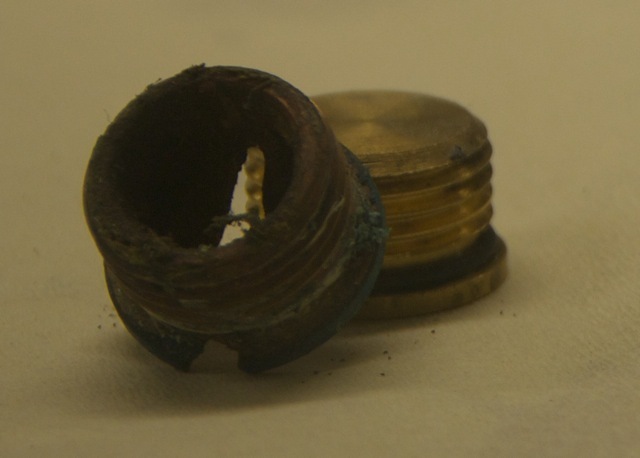 Every screw can be traced back and is documented in the system. 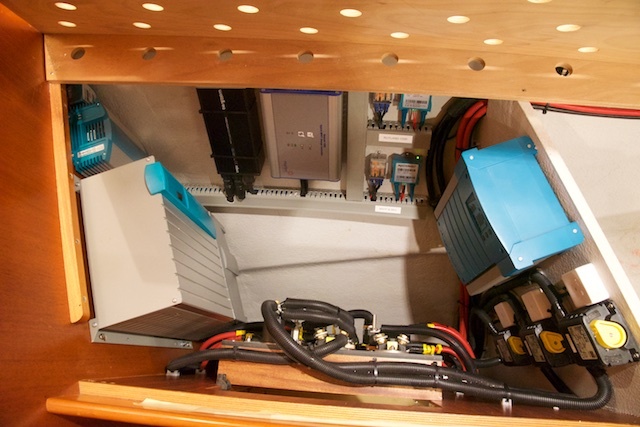 This gives a highly efficient work-flow and project management, but also a great feeling for the client, who knows exactly what has been installed in the boat. 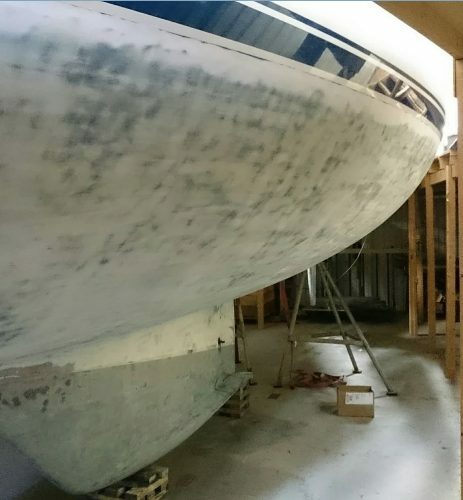 If you are still in the boat buying process, you might wish to find a neglected, yet strong and undamaged boat with a lot of potential. 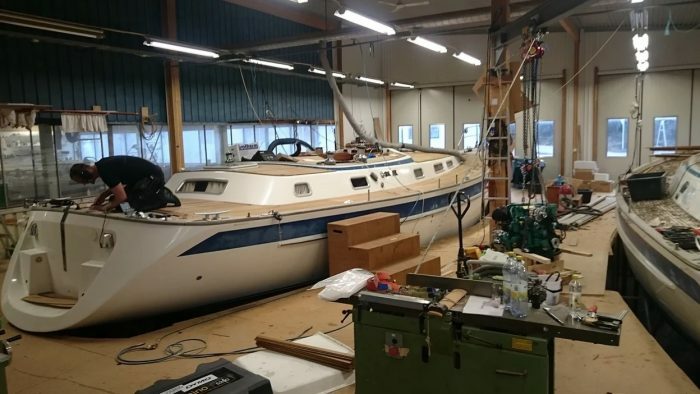 These days, it is not uncommon to find a Hallberg-Rassy for a very attractive price solely because most buyers are afraid of a refit and don’t know whom they should contact to get reliable, professional help. 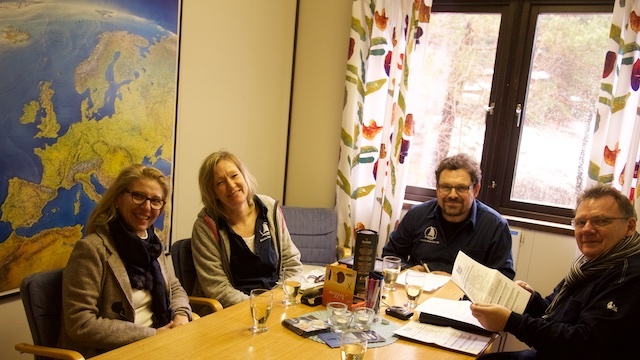 Any amendments or changes can then be discussed with the team of Adams Boat Care, such as a refit of the very popular, but difficult to find hardtop, something Adams Boat Care has started to offer. How much refit should be done? 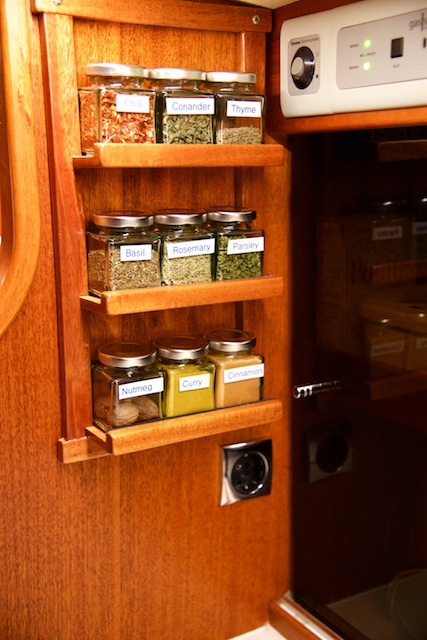 This is a highly personal issue, what you wish to have done on your boat. Some customers just want one specific thing replaced or installed, like a new teak deck or a new LED lighting package. Others come for a complete refit, even including changing the entire rigging into a modern, trimable racing rig on a classic HR. Others just come for a winter storage and light touch-up of the interior. And there is anything in between. Safety issues are, obviously, always a very important reason to have your boat checked, be it your rigging, the engine, the fire extinguisher or the gas system. 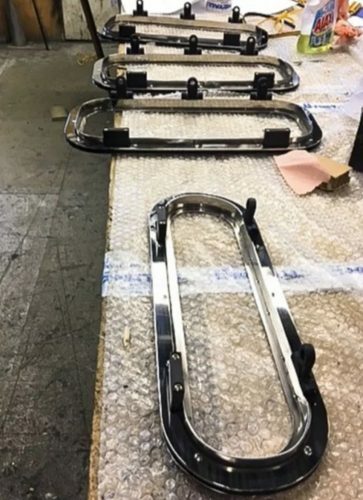 In the large lower shed of Adams Boat Care boats are waiting for their turn or have already been refitted and wait for the final assembly and launch. And then there is the famous "while-we're-at-it, why-don't-we..."-syndrome. Many owners come for one winter and then return for several years, since they like the strategically placed winter yard for exploring the Baltic and Norway before heading south. 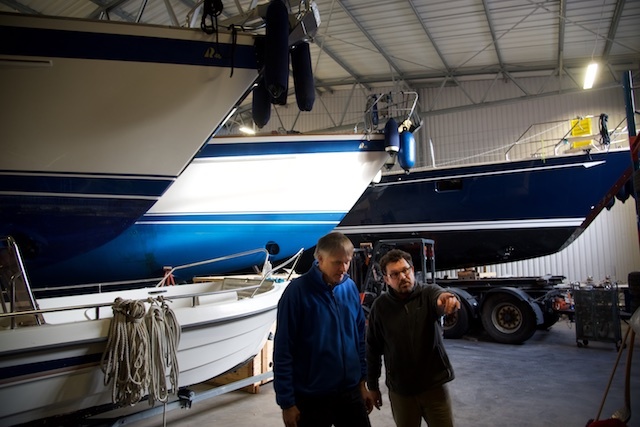 Many customers live in Europe and have completely fallen in love with the area and see no reason not to return, feeling so comfortable with keeping their boats in Carl Adam's hands for miniature refits on an annual basis. The sand blasting is actually so gentle it is done inside the workshop and only takes off the anti foul down to the epoxy layer. (The grey in the photograph) the water line you see is sanded manually down to the gel coat. Hard blasting can pit the gel coat. This Hallberg-Rassy has the so important deflectors refitted for the tunnel thruster. This is something highly recommended by thruster manufacturers, but is lacking on standard HR's. The deflectors prevent water streaming through the tunnel thruster, providing additional drag and turning the bow-thruster while sailing. With these deflectors the thruster stops turning and the boat becomes quiet under sail. The window is replaced by shiny stainless steel frames for a better look and less corrosion. The new stainless steel windows installed, replacing the old aluminium windows. The new wind-screen in stainless steel is still to be installed. When repainting the blue stripes, you can choose from any colour. Regina Laska is getting a slightly darker blue colour, which looks very smart, I think. But this is a matter of taste, of course...! What type are you? Any client is welcome and no refit is too small not to be looked at! 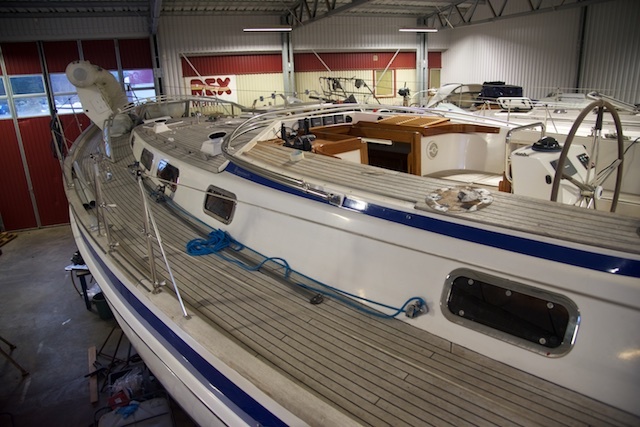 If you already have a second hand Hallberg-Rassy in mind that you would like to purchase, you might want to take advantage of the experienced help of Adams Boat Care. 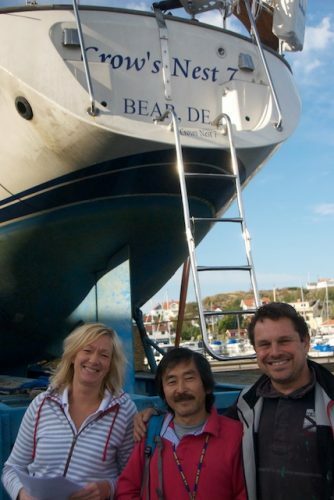 The team offers the service to help investigating the boat for you. 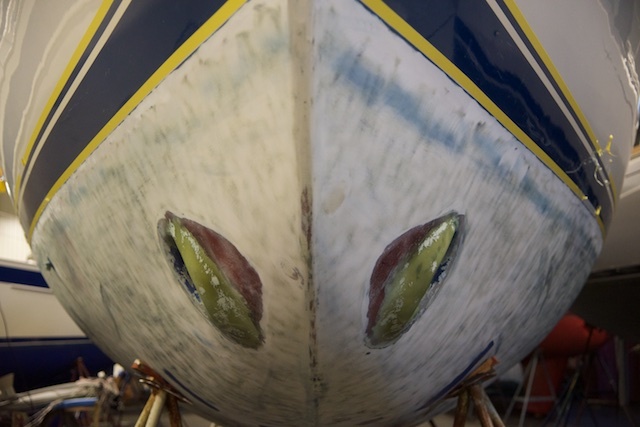 For a very reasonable amount of money, team members are sent to the boat in question to help you to evaluate the boat in question and to estimate what a refit could possibly cost. 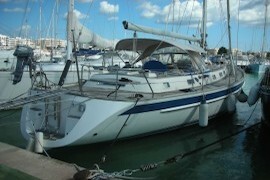 Some potential buyers have then turned down the boat in question due to too high refit costs. 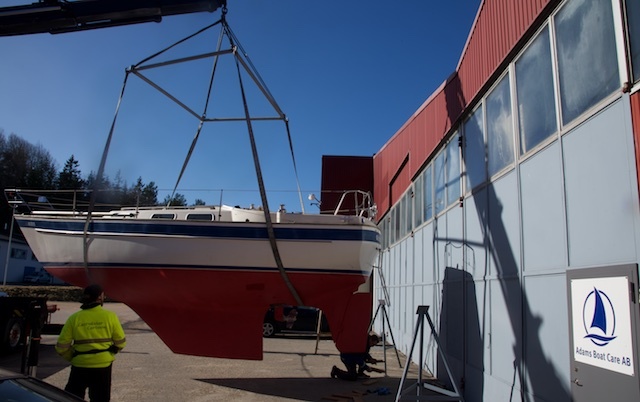 Others did go forward and have then trucked or sailed their new investments to Orust in Sweden for a refit by Adams Boat Care. No boat is too small to be refitted! There is a beauty in sailing classic small boats you might have owned for decades and see no reason to exchange. There are many small boats being refitted at Adams Boat Care down to several HR29's that have been been refitted. 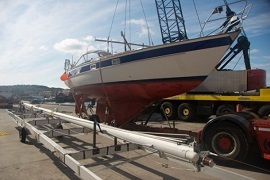 Here one is just arriving on truck all the way from a lake in southern Europe for a refit by Adams Boat Care. 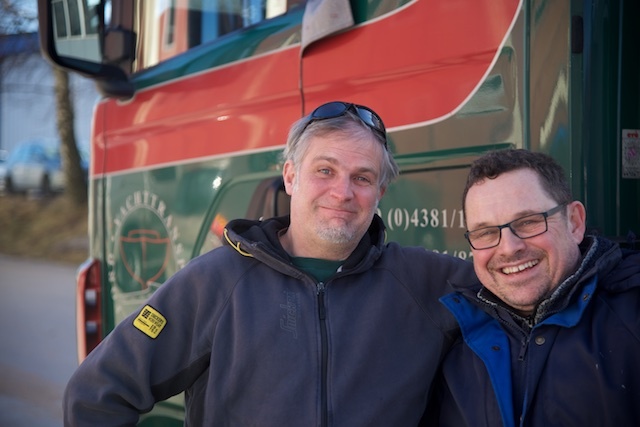 The boat is being transported by the preferred partner Ford Yachttransporte, who has been trucking Hallberg-Rassy boats for some 30 years! Ford Yachttransporte arriving at Adams Boat Care with a HR29 from southern Europe. a second truck with a crane is already waiting to lift off the HR and into yard. The HR29 lifted off in front of Adams Boat Care's shed. Inside another HR29 is waiting to get her new teak deck. Throughout the project, you regularly will receive photographs of each step so you can follow the process from a distance knowing exactly what is being done. 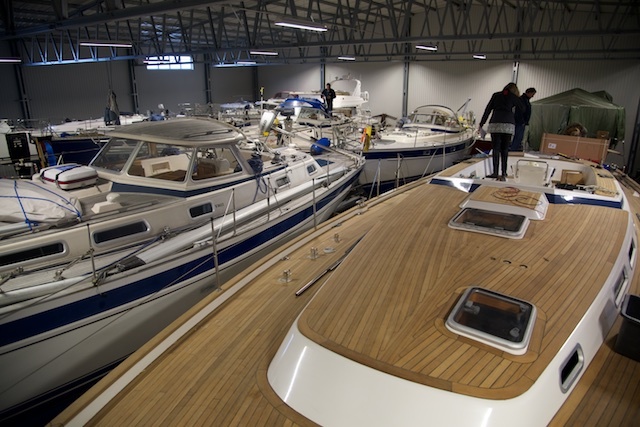 Rest assured that the team of professional boatbuilders will look after your boat! 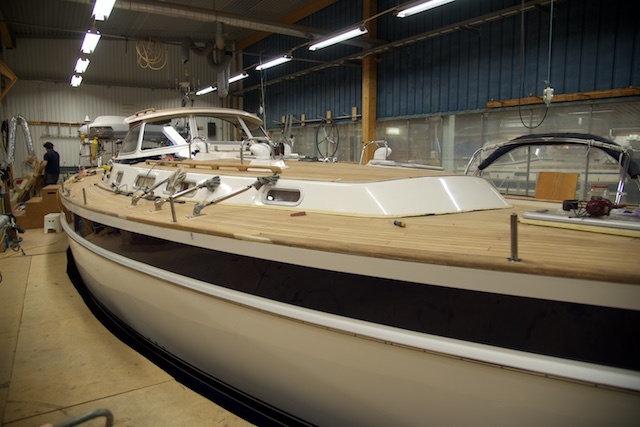 The team of experts are highly skilled carpenters, sailmakers, specialists in varnishing, electrical and mechanical technicians, teak layers as well as many suppliers that the Orust yards have evaluated as the leading ones in the industry. Several HR's are getting repowered and a new engine. 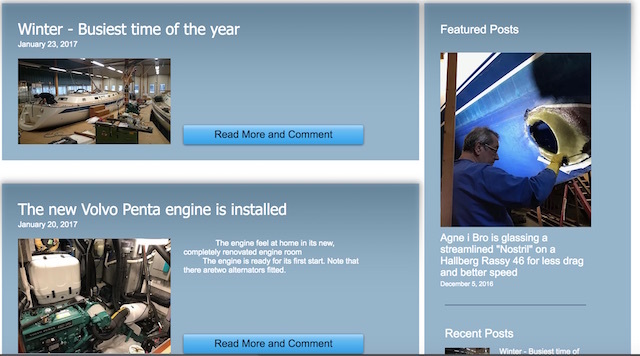 The choice of engine is yours! 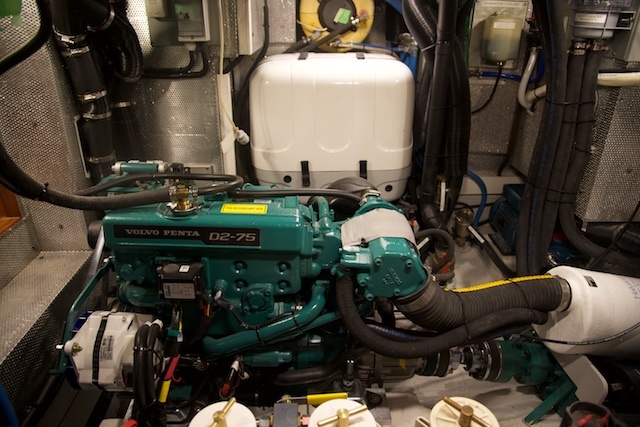 Some HR46 owners, for instance, choose the Volvo D3-110 and several other owners choose the smaller D2-75, giving loads of extra space in the engine room plus saving a lot of weight. Another Volvo D2-75, downsizing of the engine in a HR46. Note the new type of real metal sound shield covering the entire engine room! 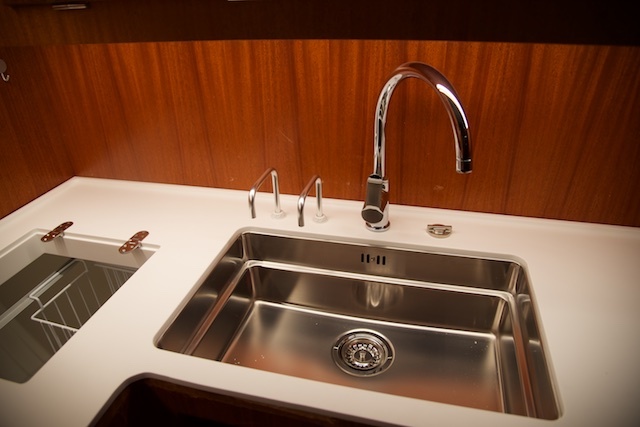 Beautiful, professional installation of electrical equipment, easily accessible for service. Of course, you may get a full professionally made wiring diagram! 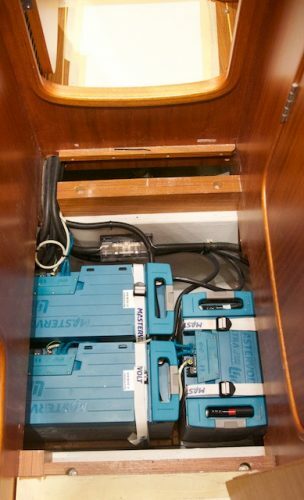 Litium-Ion batteries stored under the floorboards saving in the centre of the boat, improving the weight distribution and freeing up huge space under the aft berths for storage. 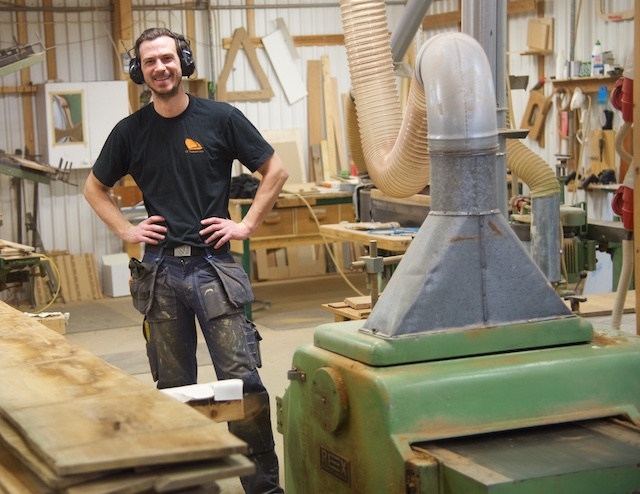 One of the main ideas is to save as much as possible of your old existing equipment which might well be in a very good condition. We definitely don’t want to change anything just for the sake of it! 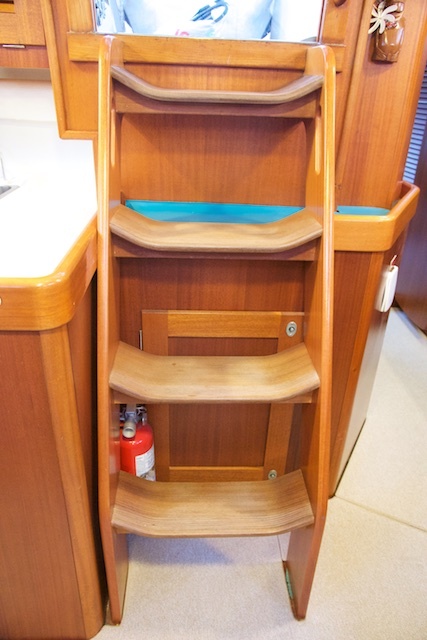 When replacing the teak deck, for instance, it is very often possible to keep the old foot rail and the teak in the cockpit, which might only need some very light sanding. Winches very often work like new after a proper service. The standing rigging certainly needs to be replaced, but possibly not the (expensive) turnbuckles, etc. 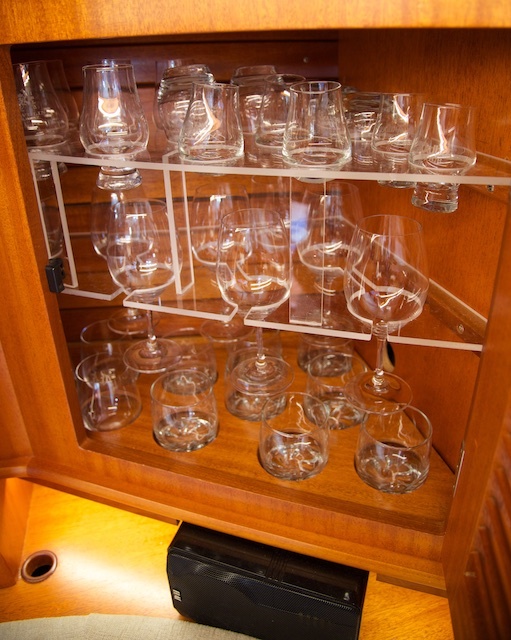 When opting for a refit, you have the possibility to greatly customize your boat. 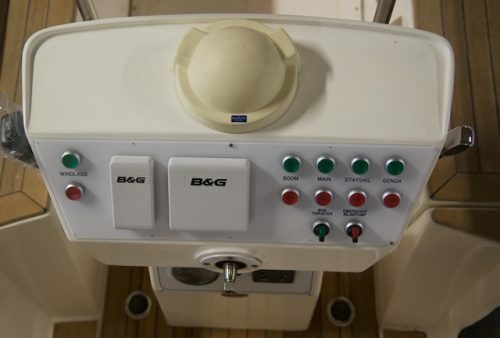 In particular, you can choose a better piece of equipment with higher quality than on a standard boat. 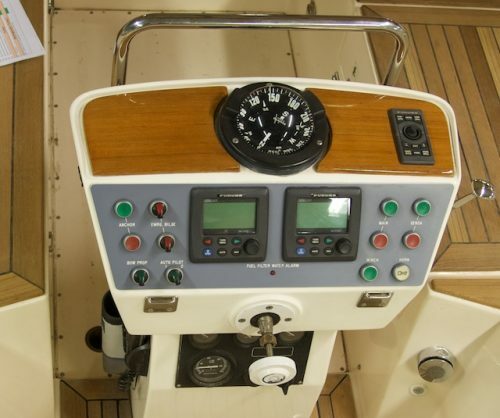 This increases comfort and safety and will have a positive influence on the value of your boat. Some examples: When changing the through-hulls, you can choose new ones in bronze instead of standard brass. 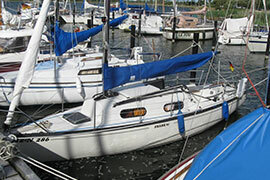 When choosing an anchor windlass, you can choose between standard Lewmar or an upgraded Lofrans. When renewing the Epoxi to protect against moisture and possible osmosis, you can opt for the full 6 layers recommended by the paint manufacturers, instead of the standard two coats. You can request a full documentation and cable diagrams for your navigation and communication equipment with marked cables. To improve lightning, you can choose LED-strips all around the boat, resulting in a feeling of space, warmth and atmosphere (the difference needs to be experienced to believe it!). And, you can even consider crazy things like asking for a sauna in the cockpit, a wine cellar or a glass cabinet! Anything is possible! Very often you have to pay a considerable premium if you order something that differs from standard. Not so doing a refit: Here, you pay nothing but the percentage in price difference for the higher quality solution. Very often the extra money spent on the better solution is surprisingly little! 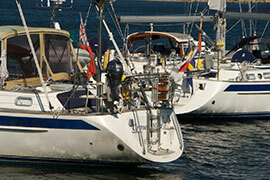 Your boat might not become cheaper than a younger second hand boat, but definitely better. 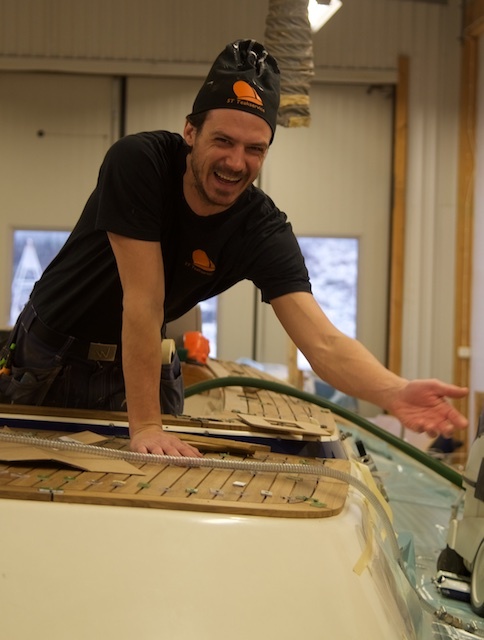 Besides, it is so much fun to be involved in your own boat building process! How is the equipment chosen? 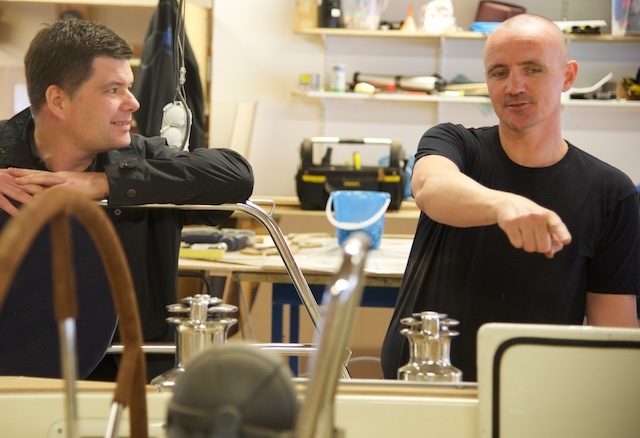 When we discuss your refit project Adams Boat Care looks at various solutions from different angles, taking into account your own needs and sailing plans. 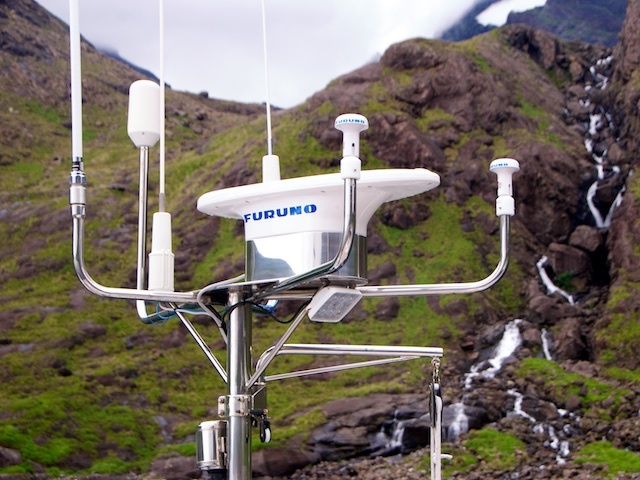 Technical solutions are discussed in detail, keeping a close eye on cost. 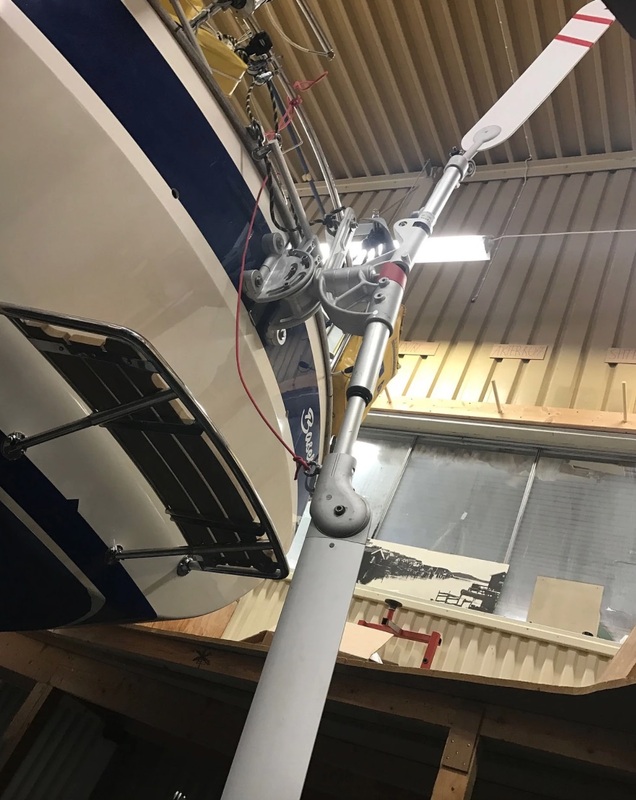 Further to the below few examples of refitted boats, Adams Boat Care is placing updates on interesting improvements on the large number of Hallberg-Rassy boats they refit every year. Please visit www.adamsboatcare.com for more more information and further examples. 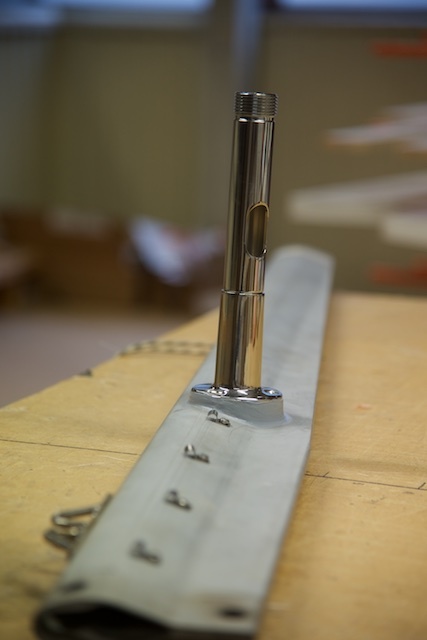 Click here to get directly to the blog of recent refitted details on classic Hallberg-Rassy boats.